Bioware just unveiled game update 3.2 for Star Wars: The Old Republic, which will continue the story where the Shadow of Revan expansion left it, last year. Find out what they announced within. A word of caution to those sensitive to spoilers; there will be a few, particularly concerning the Shadow of Revan Story content. Planned to roll out on April 28th, 3.2 will pick up after Shadow of Revan and will answer the question that clearly had us (players) on the edge of our seats for months… Did the really Emperor return? Yes. A true shocker to us all. The Emperor has taken up residence on Ziost, one of the capitals of the ancient Sith Empire. Ziost is steeped in the power of the dark side; its plants have withered, and much of the planet is bare rock and ice. 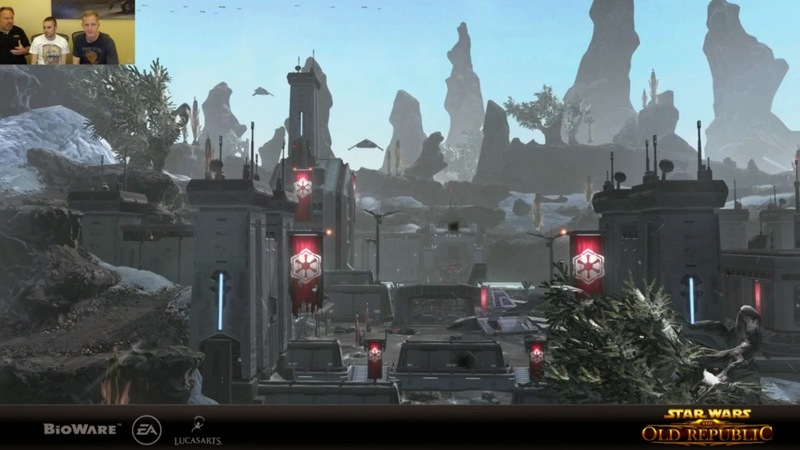 Bioware showed both the Imperial and Republic introduction cinematics, which described the current situation on Ziost. Since the Emperor has arrived, he has dominated the minds of the planet’s Imperial soldiers, turning their guns on the civilian population. At least some of which reside in a large city, liken to Dromund Kaas, only sheltered in an even larger cavern. As was shown in a second, longer cinematic, the characters Lana Beniko and Theron Shan both make a return in 3.2. The cinematic also showed what seemed like some pretty large – and exciting – spoilers, taken from the upcoming content. You can watch the archived steam here if you so desire, but I won’t spoil any of that here. 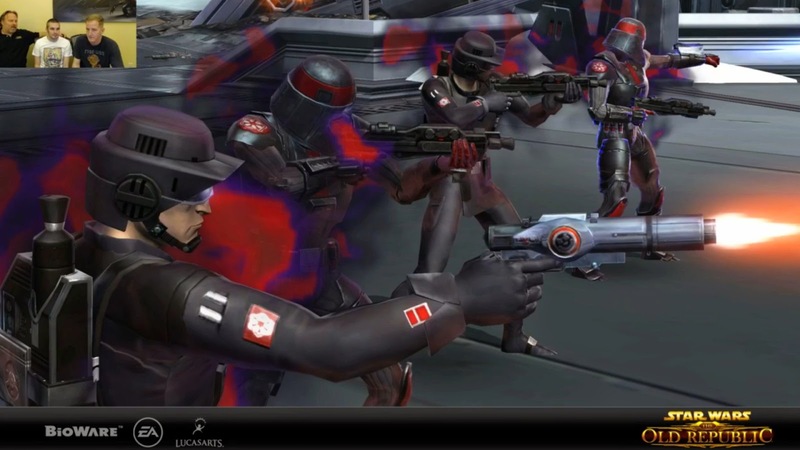 The developers discussed the positive reaction to Shadow of Revan’s story, which was certainly earned. 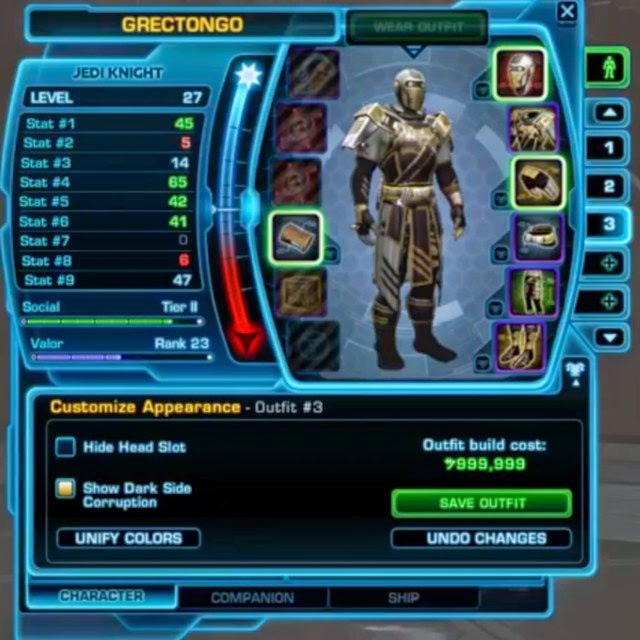 Story was very much an emphasis of Shadow of Revan; for example higher end content, usually only ran by grouped players, like Flashpoints, offered a tier of difficulty for a solo player, so no player need miss out. The developers didn’t disclose on the stream whether or not this practice would continue. One can only hope. The developers showed a new group of Jedi, described as extremely militaristic, who call themselves the ‘Sixth Line’, a reference to the Jedi Code which only has five lines. Their mantra is, “There is no contemplation, only duty.”. In addition to the new story content coming in 3.2, Bioware are making some significant quality of life improvements. After one character has landed on a new planet, all speeder points on the planet will unlock automatically. Bioware cited the x12 experience point boosts, that occured prior to the last expansion, as a scenario when players may not want to explore the entire planet for speeder outposts. Quick travel has cooldowns have been reduced to 6 minutes by default, the cooldown has been removed completely for players who purchase all of the legacy upgrades. Quick travel points will unlock as you approach them, rather than have to click on them. Useful if you are mounted on a speeder, which you probably are. An outfit designer will be introduced, which will allow players to ‘stamp’ up to 16 slots with outfits. These will change the appearance of a character, but not the base gear or statistics. This allows players to throw on their favourite attire without having to pay (a considerable amount) and remove the item mods from their new gear and re-equip them. 1 slot will be unlocked for free when the updated goes live. The developers mentioned there would be information on the class changes coming in the near future, and that update 3.2 Rise of the Emperor will be up live on public test server immediately.